Strawberries and Buttercups: A mail miracle! 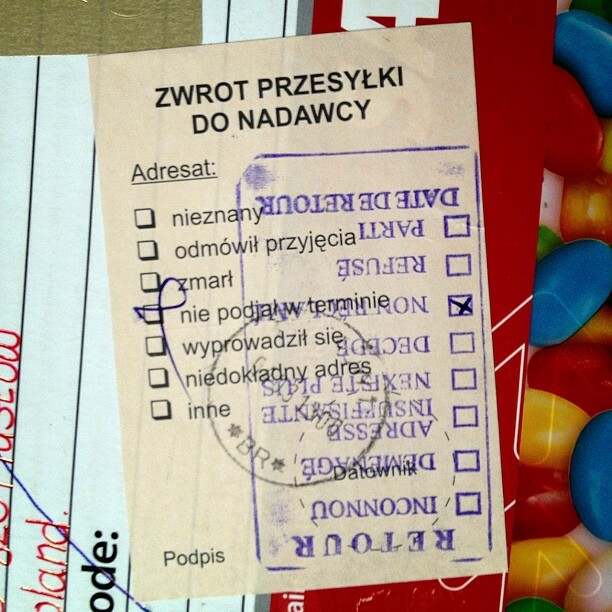 A couple of days ago I wrote this blog post about a missing box to Poland, I wish I had written it so much sooner as the box turned up today with this sticker stuck to it but I've no idea what it says as I don't read Polish and the French one is too faint to use the tiny bit of French I do remember to work it out. Do you think they stamped the French label on as a joke? Well it makes me wonder anyway. I did type the Polish in to a translator online but it was a mixture of Polish and English but from what I can work out is that it missed its deadline... the only thing I can interpret that as is that they tried to deliver it, no one was home, they didn't leave a card so no one collected it and it was sent back to me after the month deadline. The box was only dented and squashed in places but it such a relief that it turned up and no one has eaten the chocolates out of it and dumped everything else. I have now packed the postcards in one envelope and the chocolates in another one in the hope that this might make it easier to deliver even though the chocolates will be some what squashed on arrival. It definately is a year of miracles with the postal service as in January I was lucky to have received a Christmas gift that a friend bought from Janet Stores thanks to Parcel Force not leaving a card. I post this out in January also and got it back today! 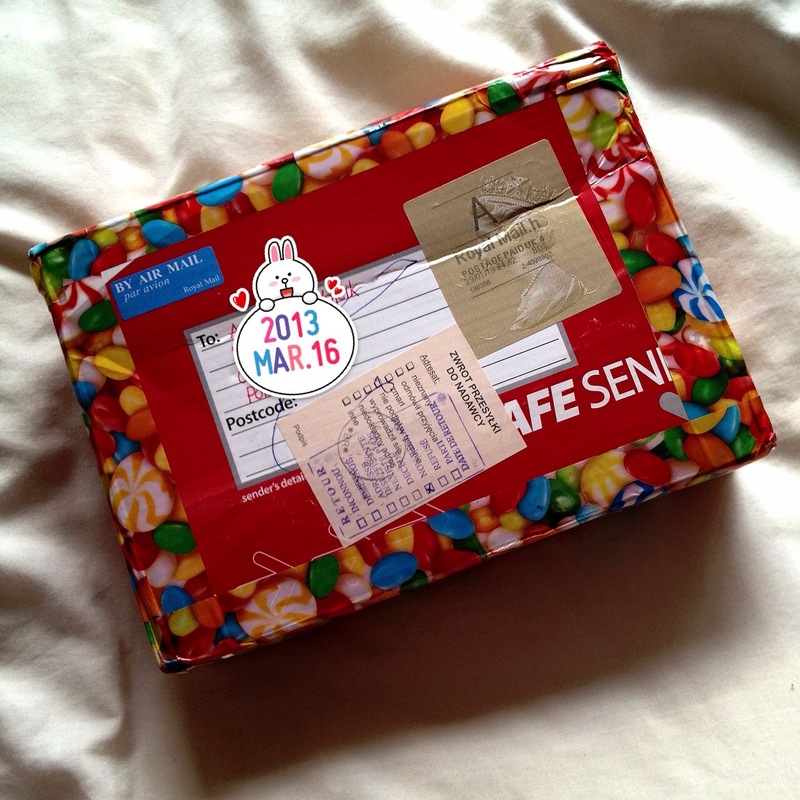 Have you any mail stories to share? me too, I would have rather that she got it but I'm glad it came back to me at least... I'm glad I stayed positive about this one :).